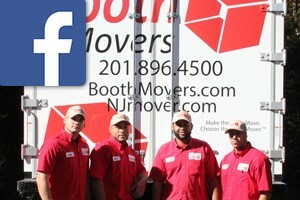 Booth Movers is a full-service Moonachie moving company for local and long-distance moving needs. Whether you are moving from a small apartment or relocating a large business office complete with delicate IT equipment, we have the resources and experience necessary! Since the 1940’s, we have established a reputation founded on superior quality and value, and as ProMovers with the American Moving & Storage Association as well as agents for Atlas Van Lines, you know your move is in the best hands possible—whether you are moving a few miles or across the globe! Local Movers: When you want local movers with a reputation for serving their community well, go with Booth Movers! Residential Movers: We can handle residential moves of all scopes and sizes, whether you are moving locally from a small apartment or relocating across the world from a large multi-level home! Commercial Movers: Ensure your business move is efficient and affordable when you go with our expert commercial movers. We have everything you need to relocate your office equipment and more while minimizing downtime. Specialized Movers: Protect your high-value and difficult-to-move items when you go with our specialized moving services. From pianos, artwork, vehicles, industrial equipment and more—we do it all! Hiring Moonachie movers is an important investment. Protect your valuables and your peace of mind when you go with Booth Movers! To learn more about our wide-range of relocation and storage services, give us a call today to speak with a knowledgeable moving specialist. You may also use our simple online form now to request your free, no-obligation moving estimate!